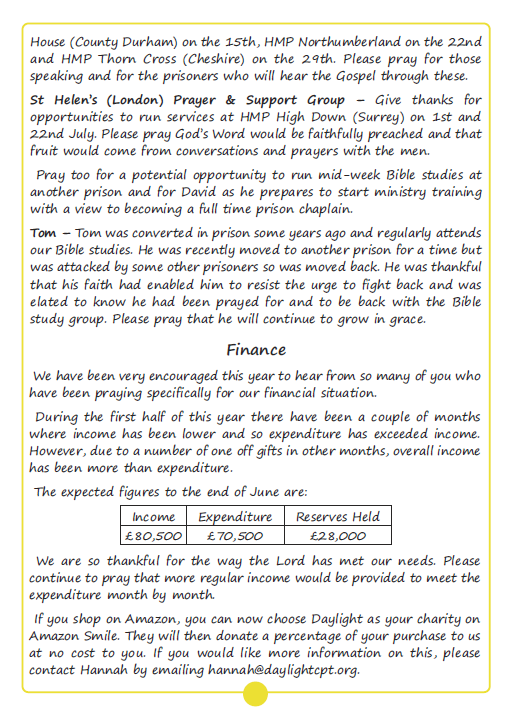 Below is our July Newsletter. 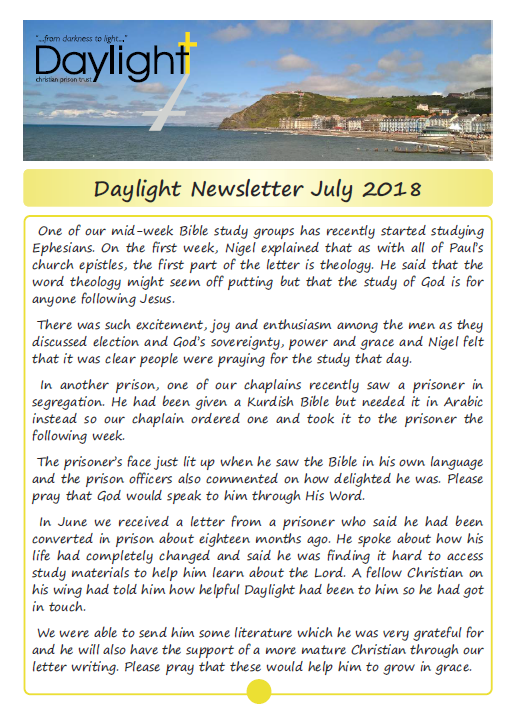 This month we look at encouragements from one of our Bible study groups and share something of recent contact with individual prisoners. 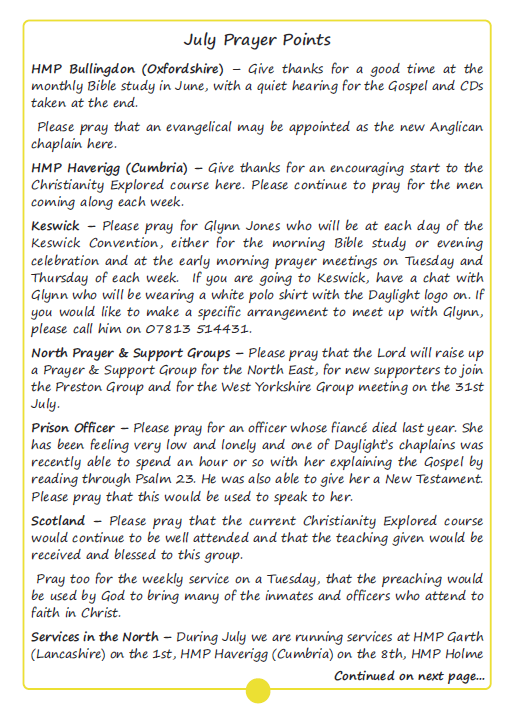 We also give a number of items for prayer and an update on our finances. Our Sunday services have continued to be encouraging over the last month, with good numbers of prisoners attending and listening carefully as the Gospel is explained. 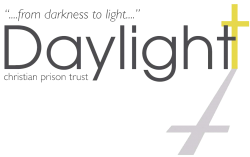 Please pray that the messages would be used to speak to them and for Daylight’s staff and volunteers running these each week.